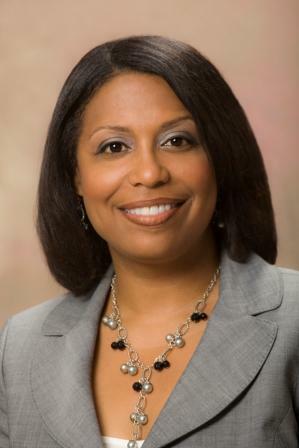 Tahirih Ziegler is the Executive Director of the Detroit Local Initiatives Support Corporation. Since 2010, Ziegler has led a team that facilitated LISC investments in excess of $86.6 million in grants, loans, and national resources into Detroit neighborhoods. With over 25 years of community development experience, Ziegler honed her skills by rising through the ranks of LISC. Prior to joining LISC, Ziegler was a Construction Manager for six years with a NeighborWorks nonprofit organization. She was introduced to community development through AmeriCorps. Ziegler serves as the Chair of the Detroit CDFI Coalition, is a member on the PNC Community Advisory Committee, the Invest Detroit Advisory Committee, the Urban Partnership Bank Advisory Board and the Metro Matters Board. In 2016, Ziegler was recognized as one of the Most Influential African-American Women in Metro Detroit and was selected as one of Crain’s Fifty Names to Know in Real Estate. Ziegler earned a Masters of Public Administration in Nonprofit Leadership at Western Michigan University as well as a Bachelor of Science in Construction Management from Michigan State University. During his 22 years at LISC, Victor Abla has administered over $6.5 million in grants, has underwritten $40 million in loans and has facilitated over $55 million in Low Income Housing and New Markets Tax Credits equity investments. Additionally, he has provided technical assistance and training for the Neighborhood Partnership Academy (NPA) and the Mayor's Office of Neighborhood Commercial Revitalization (ONCR), including having a seat on the board. He also oversaw the planning process that lead to the formation of the Southwest Detroit Development Collaborative (SDDC). Prior to LISC, Abla was an AmeriCorps member working at Core City Neighborhoods. He holds a Bachelors of Business Administration and Masters of Urban Planning, both from the University of Michigan. With over 8 years at LISC, Anthony Batiste serves as the primary contact for all Detroit lending activity. His previous experience includes over 18 years proven commercial lending experience in both developing and managing commercial loan relationships for businesses in a variety of industries. Batiste has also managed a Loan Initiative program which targeted start up and early stage businesses. During his tenure at LISC he has been responsible for underwriting over $12 million in lending with the redevelopment of the NSO Bell Building and managing various grants including a multi-year SBA Prime grant. He is also the local contact for the LISC Small Business Lending Products and Economic Development activity. Jacqueline Burau oversees all of Detroit LISC’s work as a partner in the Greater Detroit Centers for Working Families. She has served 16 years at Detroit LISC and over 20 years of working in the community and economic development industry in Detroit. Prior to joining Detroit LISC, she managed the Michigan Neighborhood AmeriCorps Program, an initiative of the University of Michigan. Burau is certified by the National Development Council as both a Housing Development Finance Professional and an Economic Development Finance Professional. She received her Bachelor’s Degree in Human Resource Development from Oakland University. Jessica Hinton's administrative background includes both the public and private sectors and includes human resources and community organizing. She received her Bachelor of Arts in Urban Studies from Wayne State University and is a lifelong Detroiter. While attending Wayne State, she was involved in the Black Student Union, Black Student Association in Urban Studies and Planning and Wayne State Student Urban Planners. Hinton is currently pursuing her Master of Urban Planning from Wayne State. She is also a member of PINK Detroit, where she mentors young women. With a diverse background of administrative experience in the non- and for-profit worlds, Stephanie Inson is a part of Detroit LISC's programmatic team with responsibilities including AmeriCorps program coordinator, federal grant portfolio management, and innovative health and safety work. She has been with LISC since 2011 as an Administrative Assistant and Program Assistant before assuming her current role. She has also served as a member of the City of Hamtramck Plan Commission. Inson holds a Masters of Urban Planning at Wayne State University and a Bachelor’s of Science in Biology from the University of Massachusetts – Boston. Brandon Ivory joined Detroit LISC in 2004 as an Assistant Program Officer working on capacity building for community development corporations and currently serves as the Building Sustainable Communities liaison to the Grandmont Rosedale neighborhood. Previously, he was employed with United Way Community Services (now known as United Way for Southeast Michigan) in community planning. Ivory has over ten years of experience working in several human service organizations that focused on the betterment of youth and families in Michigan. He has a Master’s of Social Work from Wayne State University and a Bachelor’s of Social Work from Saginaw Valley State University. Damon Thompson currently works as the Home Repair Coordinator for Detroit LISC. He has nearly fifteen years of public sector experience and skills in administering both housing and community development programs in Southeast Michigan. His previous experience includes working for Washtenaw County from 2003 until 2011 for the Office of Community & Economic Development serving in multiple roles including the Operations & Finance Manager. Additionally, he oversaw the single-family housing rehabilitation and public infrastructure improvement programs. Prior to joining Detroit LISC, he worked for Lutheran Social Services of Michigan as the Contract and Grants Managers for Subsidizing Housing. He is a graduate from Michigan State University with a Bachelor of Arts in Finance.